Founded by Hiroyasu Kondo in the ’70’s, the current Audio Note is a British operation reflecting twenty years of collaborative effort between Peter Qvortrup and Hiroyasu Kondo. Peter Qvortrup is an avid vinyl connoisseur. According to Ray Lombardi, Audio Note’s U.S. West Coast Importer, Peter has the largest private vinyl collection in the world. The name Audio Note is now legally to be used only with Peter Qvortrup’s Audio Note operation. Mr. Kondo operates his own company in Japan under the eponymous brand-name Kondo. 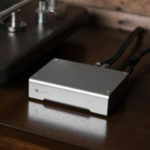 Audio Note is well known for its amplifiers. I was interested in investigating their other, lesser-known products, such as the AN-E/D loudspeaker under scrutiny here. According to its US pricing sheet, Audio Note makes five loudspeaker models: the AZ (Absolute Zero), AN-K bookshelf speakers, AN-J full-range and AN-E full-range. Each successive model advances in performance and the incorporation of premium parts. 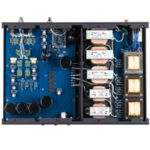 For example, the bookshelf AN-K/D costs $999 per pair but can also be purchased in the AN-K SE top model for $5,999 per pair with the following extras: Audio Note™ silver cables, Audio Note™ solid silver inductors and Black Gate bipolar capacitors in the crossover, copper-foil adjusting capacitors and exotic wood veneer. In addition to the AN-E/D, Audio Note provided an entire matching system for auditioning: the M3 line stage preamp, Quest 300B monoblocks, 2 pairs of AN-V RCA silver interconnects and two pairs of 8-meter length AN-La copper bi-wired speaker cables. The $2,750 a pair, ported, two-way AN-E/D is Audio Note’s flagship speaker. AN claims the AN-E sports the “widest frequency range of any speaker this size and efficiency.” It is equipped with Audio Note™ AN-D copper cable, heavily silver plated Audio Note™ speaker terminals and a meticulously polished, faux-veneer vinyl-clad cabinet made from soft chipboard. Knocking on the front and side did not induce cabinet resonance, thus confirming rigidity of the construction. A port near the bottom rear of each speaker reinforces bass output. Representing a fundamental conceptual departure in baffle design from other contemporary speaker makers, such as B&W, Celestion, Thiel and Vandersteen, the AN speakers’ front baffles are devoid of treatment, and the tweeter and bass units are spaced a considerable distance apart. The AN’s ordinary-looking cabinetry is intentionally simple. Quoting from AN’s website, the enclosure’s uncommon shallowness forms “an integral part of the wave launch support and controlled diffraction characteristics pioneered by Peter Snell in the 1970’s.” Audio Note is also of the opinion that, when executed appropriately, a wide front baffle produces a musical and natural sound, as opposed to the “fashion-victim” narrow baffle designs that compromise midrange frequencies and impart tonal colorations. Audio Note also claims that speakers with narrow baffles sound “distinctly ‘hi-fi’” and unmusical because of peaky response and loss of low level information. Finally, regardless of model, cabinets, crossovers and drivers are matched to within 0.2dB over the full bandwidth. From the same basic design, six higher levels of the AN-E are also available. The top AN-E SEC Silver uses Audio Note™ AN-SPz silver cable, ALNICO magnet on bass driver, Audio Note™ silver wired voice coils and crossover inductors, Black Gate bipolar capacitors with Audio Note™ silver foil adjusters, and a vinyl-veneered cabinet made from MDF with Russian birch plywood front & back. MSRP $19,950 a pair. In addition to the speakers, I received a $450 pair of 10-inch-tall, black-sprayed, steel-spiked speaker stands. Sand-filled, they provided additional inertia. Two miniature upside-down spikes at the front edge angled the speaker’s front baffle slightly upward. In this arrangement, the woofer pointed at ear level, with the tweeter pointing above my head. The AN-E is designed for room sizes from 18 to 60 square meters, which converts into about 59 to 197 square feet. Near side/rear wall corner placement is recommended for enhancing bass response to 18Hz at -6dB. In my room, which is slightly larger at 204 square feet (12 × 17ft), a pair of Klipschorns occupy the two viable corners (see upcoming Klipschorn review). I initially positioned the AN-E/D’s close to the wide front baffle of each of my Klipschorns for better bass. This arrangement boosted the voice and instrumental presence and produced substantial bass. However, the corner positions positioned the speakers too far out to the sides, creating excessive interaction between the wide-dispersion drivers and room, resulting in a smeared soundstage and a lingering midrange resonance. I moved the speakers away from the Klipschorns and 26 inches into the listening room, where they stood 48 inches away from the heavy draperies to the rear, 14 inches from the side walls and 65 inches apart. Toe-in proved to be necessary, as the speakers could not formulate a satisfactory soundstage otherwise. Two ASC full-range tube traps stood at the sidewalls nearest the speakers, with my disconnected pairs of Genesis VI and Celestion SL700 deflecting sounds from the speakers opposite. At this point, the distance from speakers to listening position was about 11 feet. If placed in a room at the lower recommended size range, listening will resemble near-field monitoring. Since these are bass-reflex designs, the ideal position in a relatively small room will require some experimentation. 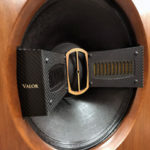 Driven by AN’s own Quest Western Electric 300B monoblocks, the speakers exhibited substantial finesse. Orchestral pieces possessed convincing texture and definition; vocals and choirs sounded detailed and refined. Recorded by CBS in 1987 in digital, the first of Mahler’s two part Symphony No. 8, The Symphony of a Thousand, Klaus Tennstedt conducting the London Philharmonia and Chorus [EMI CDS 7 47625 8], contains a great many overwhelming fortes produced by the chorus of a few hundred and the orchestra. The AN’s allowed me to experience these voluminous passages while at the same time conveying with exceptional clarity the subtle refinements of Mahler’s orchestral and choral writing. The calmer and more spiritual second part showcased the AN’s superior resolution and timbral accuracy, as arguably the most meltingly refined and tantalizing melodies of all of Mahler’s works flowed. In a 1956 reading of Rachmaninoff’s Rhapsody on a Theme of Paganini (RCA Red Seal 902663035-2), pianist Arthur Rubinstein’s lyrical playing receive a profound re-authentication in its 1997 remastered version. Fritz Reiner, the towering conductor, led the orchestra to in hot pursuit of the piano. I heard these musical marvels all the better thanks to the Quest-driven AN-E/D’s transient energies and vividness. At the end of track three from Richard Strauss’ Also Sprach Zarathustra (Deutsche Grammophon Karajan Gold DG 439 016-2), the Berlin Philharmonic’s organist lays a divine, rumbling foundation as it segues into “Of Joy and Passion.” The amp speaker combination allowed me to hear the organ’s layered overtones as distinguished from its airy bottom octaves. The speakers also did well with chamber ensemble recordings, as in an 1984 recording of Ralph Vaughn Williams’ Fantasia on Greensleeves, from Nimbus [NIM 5019], in which the music’s complex textures are aptly portrayed. The Quest-driven AN-E/D transmitted these layered tonalities in a most seductive way. Moving on to heavy metal, Metallica’s eponymous “The Unforgiven,” from the so-named CD, the bass guitar’s rumbling emerged from the background into sharp definition amidst the group’s heavy rocking. in “Nothing Else Matters,” the dual layers of Hetfeld’s vocal and the guitars’ soaring notes were beautifully articulated. However, powered as they are by 300B tubes, the Quest monoblocks could not produce dynamics the equal of the Monarchy Audio SM-70 monoblocks or the Aragon 2004. Both tracks sounded rather more philosophical than rebellious. The Monarchy Audio SM-70 monoblocks presented an intriguing alternative and were nearly victorious over the Quest monoblocks. The SM-70’s have outstanding price-to-performance value and power. While one stereo SM-70 drove the AN-E/Ds to very high levels with excellent results, monoblocks provided better separation, soundstaging and dynamics. To return to the Metallica CD, the SM-70 monoblocks exhibited their superiority in sharp dynamic contrasts and midrange articulation. The AN-E/D sounded fundamentally more uninhibited with the SM-70 monoblocks’ higher transistor power, in contrast to the tonal richness and silkiness of the Quest 300B monoblocks. The same is applicable to orchestral passages. The pairing yielded a pristine yet delicate and detailed top end to strings, for example, and a firm, rhythmic foundation. The SM-70s better defined instruments such as cymbals and triangles. Owing to superior power reserves, soundstaging retained its definition and dimensions, with musical climaxes seeming louder and more open than with the Quest monoblocks. The downside to transistor power lies in its merciless high frequencies. In one of the Metallica passages, the right channel tweeter shut down temporarily. In his email reply, Mr. Qvortrup explained that transistor amplifiers were less stable in high frequencies than tube designs in general and that the SM-70’s otherwise excellent treble might not work well with the AN’s tweeter. He also explained that while there was no protection circuitry in the AN-E/D’s crossover, the tweeter was temporarily disconnected internally. AN-E/D’s high-level orchestral music rendition, however, sounded excellent with the SM-70 monoblocks. Nevertheless, I would caution against driving the AN’s with solid-state amplifiers in a home theatre setup as their delicacy prohibits being driven hard. Final word on transistors: the AN’s jazz performances as driven by the tube monoblocks did not have the ultimate jump factor the SM-70 monoblocks produced. The SM-70’s could not approach the silkiness of the Quest 300B monoblocks, further reinforcing the place of tubes in our hobby. I tried other amplifiers with less success. Despite the 94dB sensitivity and 8ohm impedance, the intriguing 5wpc tube Decware SE84C (www.decware.com) which was otherwise impressive with my Klipschorn (see my next review) was simply incapable of driving the AN. Neither could the 12wpc GW Labs Cyclop (www.gw-labs.com) (review in progress). The EL-34-driven, 125wpc Music Reference RM9 II produced remarkable sonic results. But despite all its tube wonders, it didn’t do well with the AN’s at high playing levels. Another solid-state alternative, the Aragon 2004, didn’t impress me in this context with its emphasis in high current driving capability, as it made the AN sound recessed in the top end with a soft midrange, although the bottom end had considerable definition and tremendous drive. Soundstaging was the only outstanding trait in this pairing. Compared to the Klipschorn, the AN-E/D exhibited lifelike dynamics with superior timbre accuracy. The speaker is more articulate than my horns but cannot match the dynamic ease that horns are capable of. My Genesis VI, with its servo-powered subwoofers, produces room-filling loudness and excellent bass, but the Genesis could not transcend the AN’s delicacy with regard to pipe organ recordings. My Apogee Duetta Signature, a soundstaging champ with the frequency smoothness of ribbons, comes closest in the articulation to the AN but at the expense of the dynamic transients. Lastly, my Celestion SL700 produces striking dynamic transients and pinpoint imaging but not the AN-E/D’s richness in instrumental overtones. The AN-E/D gradually and subtly eclipsed my Significant Others with its singular musicality and proved itself irreplaceable. Sonically, the AN-E/D reproduces instrumental timbres with an addictive musicality. Instruments are given a detailed portrayal and responsive dynamic transients. Definitive soundstaging can be achieved but only at the expense of the factory-recommended corner placements for maximum low-end performance. I preferred soundstaging to maximum bass definition and found the result enjoyable as rewarding. Depending on the size of your room and your loudness preferences, room treatment can mean a big difference with the AN-E/D. With the possible exception of near-field listening, sidewall treatment is a must in a normal room to absorb or diffract upper to lower midrange reflections in relatively high decibel listening conditions; otherwise, the speakers will become overly prominent. The AN-E/D’s rated 94dB/w/m sensitivity and 8ohm impedance gives only the merest clue to its delicate and discriminating nature. The choice of suitable amplifier relates to power and finesse. 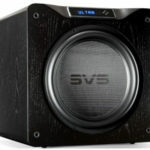 Caution is generally advised when the user is adamant in driving the speakers with solid-state amplifiers, as these designs’ high frequency regulation will have to be of the elite to avoid tweeter damage. Tubes are more benevolent in this respect. AN’s own Quest monoblocks proved to be quintessential companions. This particular combination produced smoothness throughout the frequency spectrum and an abundance of timbre overtones. Regardless of whether tube or solid-state amplifier was used in driving it, the AN speakers were very revealing in the midrange and highs. Its soundstaging is in the same league as my Celestion SL700. The AN-E/D is also more articulate with regard to tonal shadings over the Klipschorn, with its pristine top end versus slightly recessed but smoother highs from the Genesis VI’s circular ribbon. My Apogee Duetta Signature has comparable musicality but not the AN’s drive. Aesthetically, the AN’s are unassuming speakers. The speaker’s boxy appearance will understandably generate negative reactions. Audio Note has obvious faith in the virtues of the basic design of the AN-E. While the AN-E/D is undoubtedly of high-end caliber, a 24-karat Audio Note emblem might give it the facelift it needs. While we’re on the subject of improvements, one wonders about the superiority of the $19,950 AN-E SEC Silver compared with the $2,750 AN-E/D. One can only assume that each upgrade in the chain results in audibly better performance. That said, the relatively affordable AN-E/D is compellingly musical when driven by quality tube amplifier(s), such as the Quest 300B monoblocks. Its natural presentation qualifies its use in a home theater setup as well, provided that the amplifiers are more benign at the top end than ruthless. This AN speaker is recommended for the experienced audiophile who will not frown on its pedestrian appearance.